The "Plagiarism Spectrum" identifies 10 types of plagiarism based on findings from a worldwide survey of nearly 900 secondary and higher education instructors. 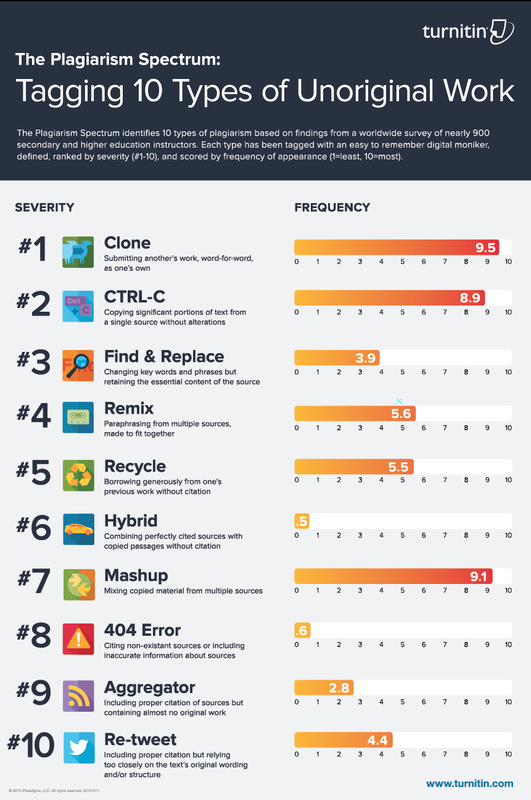 Each type of plagiarism has been given a digital moniker to reflect the significant role that the internet and social media play in student writing. Print this 8.x5x11 flyer and pass it out to students in your classes and courses, even other educators.